Follow these steps to custom build your own Membership Site..
Before you start.. get creative with this list of ideas.. Create a classifieds ad board and give away free advertising. Create an ad exchange site that focuses on just banner ads. Create a link cloaking site for members to cloak affiliate links. Create a link rotating site so members can rotate links with just one link. Create a downline builder site linking to your favorite affiliate programs. Create a network of sites. Use each of the membership scripts available. Create a duo of traffic sites using the ad exchange script and the ad board script. Create an instant commissions traffic ad exchange membership site. Create a text ad only ad exchange using the ad exchange script. Create a list building site that can build members lists as well. Create a collection of different sites and link them all together. You will need a Hosting Account for your site to work. Choose one of our hosting accounts or you may be able to use your current hosting. I can offer my clients affordable hosting accounts to keep their membership sites online and running smoothly. I have lowered my prices to make it easier to host your sites with me. It means the scripts will work perfectly with the servers, plus I will be able to assist you faster if you ever need support or a site update, mod added etc. Currently the only stand-alone script is the Traffic Ad Exchange Script. All other types of membership sites are only available as complete Custom Membership Sites. A ‘Script’ is the code, files and database that makes your membership site work. It includes an Admin Control Panel, Members Area and all the necessary files and coding to automate features of the sites. These scripts are created using PHP. Under the ‘Edit Pages’ section, Admin can add html that updates certain parts of your site e.g. offer pages, members area, front page, login ads etc.. There a lots of areas to edit making these scripts very easy to customize! NOTE: If I setup the site for you, you don’t need to know any technical knowledge at all, these sites are easy to operate and take little time! It’s very important that your site looks awesome! Choose from our selection of custom minisite template graphic packages. When all components are ready, you will then need to install the script, graphics & optimize settings. Do this yourself with the Script Installation Instructions or get it done for you with free installation with every script purchase. The scripts require a little knowledge of cPanel and for you to know your way around your hosting account. Upload the files, create a database & user, plus the setup the cron jobs. Hosting requirements: MySQL, PHP 4 or higher. Get FREE Installation of the Scripts when ordering with this special script sale. 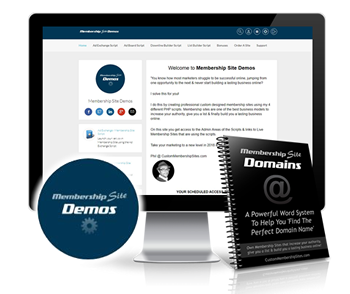 Want to buy one of the Membership Site Scripts or Sites For Sale and pay it off over time? 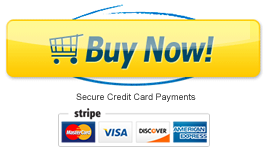 Now you can with these easy payment plans on scripts and sites for sale.